We gave baby J a little history lesson on how medieval European royalty traveled by hauling all their furniture wherever they went. Being the king of our household, he liked that idea and insisted we carry his bed around from place to place. Alright, it was more out of necessity to haul a crib since we went the Airbnb route for our accomodations (more on this later) and we needed something for little man to sleep in. (If you stay in a hotel, you might not need to worry about this.) We own a Pack-n-Play and were going to bring that, but last minute opted to buy the BABYBJORN Travel Crib Light. 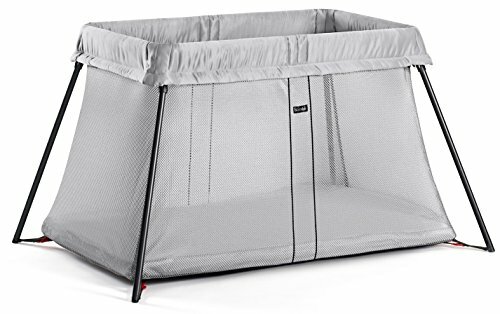 This travel crib was lighter and easier to put together on-the-go, though it did take up the greater part of a huge suitcase in bulk when all was said and done. Our little guy hasn’t been too keen on any portable crib solutions but this one was the easiest to pack for a flight. We ate all our breakfasts in the apartment and little man ate most of his dinners there, so having some sort of seat for him was important to us. This fabric high chair [Baby's Journey Babysitter High Chair Pad] straps to just about any type of chair and made feeding our wiggle worm much easier. Dinner in our Paris apartment - first time trying falafel from L'As du Fallafel! I know this is another obvious item to bring for parents, but here are some things to consider. We opted to bring along the stroller we already owned, the Baby Jogger City Mini GT. Although the name suggests it might be small in size like a Mini Cooper, it’s actually like wheeling around the American Hummer of strollers in compact Europe. I was aware of this ahead of time but I wasn’t about to buy another for travel. While it certainly was not Europe-ready in many ways (it didn’t even fit in some Paris elevators! ), it was a comfy ride for little man and we have no regrets, considering how many hours he logged in it cruising through London and Paris. If you are looking into buying something for a European trip, I would consider the size, as well as the ease of folding up the stroller and its weight. 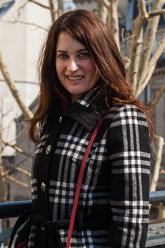 More on public transportation, but the ability to carry the stroller and baby is important. Size comparison: Julien's napping in his American monster of a stroller is on the right and his French friend on the left is sporting the compact Parisian fav, the YOYO. Handlebar: Our stroller sells this separately and I bought one for the trip. This was more luxury than necessity, though it was nice to attach a few toys for little man. ...our favorite wine festival, Salon des Vins! Then a cupholder comes in handy (and you know that stroller was hauling more than just the baby)! When your “little” man is 25 pounds, this is a secondary mode of transportation but one that proved to be instrumental along the way. J was at the awkward in-between stage of almost-but-not-quite walking so the carrier allowed him some space to burn energy kicking when we were indoors as well as provided a new perspective. It also was helpful on some very crowded rides on the London Tube when a folded-up stroller could barely fit! Another benefit - when J was in the carrier, he was happy to help out and push his stuff through the museums! The car seat also came in handy on the Eurostar train when we traveled from London to Paris - I'm not sure we would have gotten J to make himself comfortable for a nap without his own space. There’s no magic formula in my opinion in figuring out what makes the cut - pack a favorite small toy or two plus a few never-seen-before ones. J’s birthday was a few weeks before so we didn’t even need to buy anything. Our stash included animal hand puppets and books. In the end, an empty plastic water bottle was a huge hit on the trip which illustrates that there’s no need to go overboard in this department. There's the toy of choice, the empty water bottle, in action...and at his feet is the whale night light (described below). We always have a night light on in little man’s room so we don’t stumble around in middle-of-the-night wakings, and now he’s accustomed to sleeping with one. 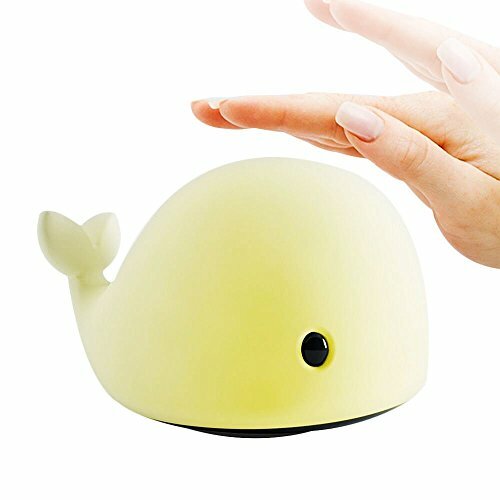 This adorable whale [Mystery 4-Modes Children Night Light] is rechargeable and doubles as a toy - smack it and it changes colors. It was very helpful as we were up often in the night with our little guy. Cheerios and baby puffs were lifesavers. They made the plane ride go smoother, brought peace to many meals, and even got little man to sit through a Christmas concert. If your little one can eat these, don’t leave home without a large stash! Here's J lunching at Septime, one of Paris' hot restaurants that is difficult to secure a reservation. His stack of puffs kept him happy while we enjoyed a fancy meal out! Now you’re thinking I’m really insulting parents with this on the list, but hear me out. We opted to pack all the diapers we needed for the 2.5 week trip (instead of planning to buy as needed along the way). Our reasoning was that it took up space on the way to Europe, and as they were used, it freed up space for souvenirs. The main thing we wanted to bring home was lots of French wine, and extra diapers actually aided in the safe transfer of the precious goods. The process involves wrapping the wine bottle in diapers (pictured bottle is only halfway wrapped) and then securing the bottle in plastic bags. Anyone interested in a full blog post on Michael's packing tricks for bringing wine home? Ok, this might not be realistic but this last minute addition was key to our trip! We got my mom to come to London and my MIL to join up with us in Paris, so most days we had extra loving hands to help. It allowed us to even go out for a few nice dinners, meet up with friends at night, and of course, added much joy to our first trip to Europe with J! In hindsight, a compact white noise machine might have been nice. We used a free app on the phone one night and played a 10-hour YouTube loop on the laptop another night during our struggle with baby jet-lag. Our two apartments were quiet at night so it might have been more crucial to have had we stayed on noisy streets. I would consider it next time. 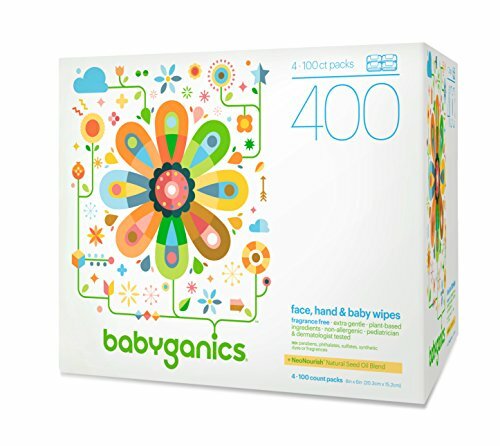 Now over to fellow parents - what’s on your essential list to pack for your littles? And to those without kids, does any of this surprise you?